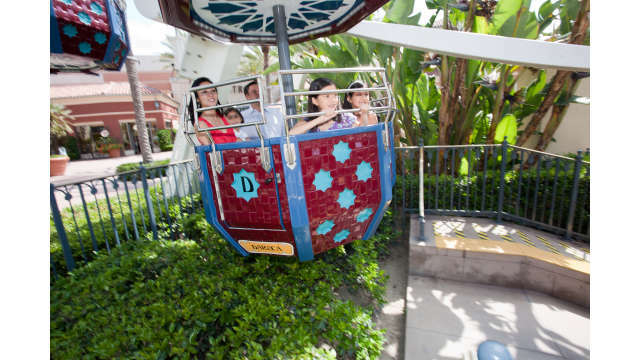 The 108-foot-tall Giant Wheel can be found at the Irvine Spectrum Center. It was hand-crafted in Italy and features octagonal, Andalusian-inspired gondolas. The wheel's standard bulbs have been replaced with more than 50,000 energy-efficient LED lights capable of dazzling 16 million different color schemes.